Lite Haus UK are suppliers and installers of quality bespoke aluminium sliding and folding doors made by world class German manufacturer Schüco. As experts in their field and working closely with such a large manufacturer, their previous website did not showcase the high quality and sophistication of the products. The HeadRed team worked hard to build a tailored solution on WordPress, showcasing their doors with clear high quality imagery on a rotating slider. The development team then went a step further to integrate a bespoke quote system, allowing visitors to get estimates whilst on the website. We delivered a responsive future-proof solution that works on every device placing them firmly on the map as the leading authority in their sector. 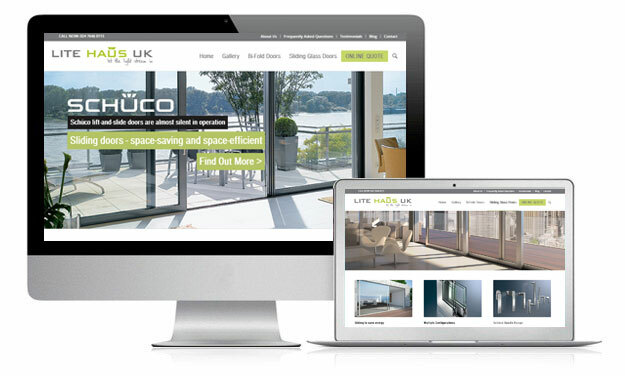 Take a look at Lite Haus’ new site visit: http://www.litehausuk.com and let us know what you think!